Today I am delighted to welcome Matthew Richardson to my blog, author of My Name Is Nobody. In his guest post below Matthew talks about the setting of his novel. On first arriving in Westminster there is one thing you notice above all others – the size of it. On the TV screen, it all looks vast and separate: the sweep of the Houses of Parliament, the long procession of Whitehall, and the stateliness of Buckingham Palace. In reality, those separate parts are within touching distance. People often talk about the ‘Westminster village’, except this is a village with a difference. Within minutes of each other you have: the monarchy (Buckingham Palace), the government (Whitehall), the parliament (Palace of Westminster), the media (Millbank) and the intelligence services (Thames House and Vauxhall Cross). You can comfortably stroll through the five key centres of power that shape everything in modern Britain – from whether we go to war to the details of our day to day lives. Behind the elegant façade, thousands of people are engaged in the most secretive business in the land. It’s Midsomer with the nuclear codes. When I set out to write My Name is Nobody, I wanted to capture the intimacy of it all. That meant taking the reader behind the curtain and showing how everything connected: from the elegant rooms inside the Palace of Westminster to the bustling chaos of the Red Lion pub. I now had my canvas. That, in turn, gave me my story idea. Could you have both the feel of a small-town thriller while setting it at the heart of the world’s most global city? I wanted to show how, at any one time, you are rubbing shoulders with generals, journalists, spies and politicians. And how one event can ricochet through a community, affecting the lives of everyone within reach. By putting the setting and the story idea together, I had my novel. 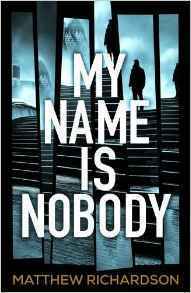 My Name Is Nobody is available from 13 July 2017. 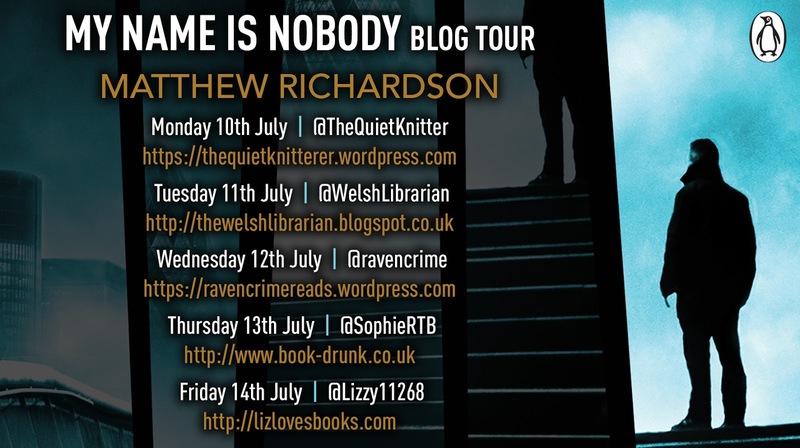 Don't forget to check out the rest of the blog tour - and look out for my review, coming soon!